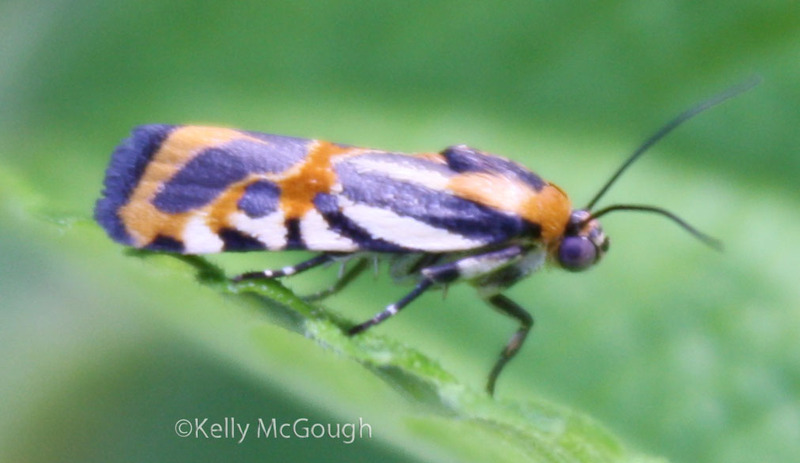 Observation notes: Found this very tiny moth this morning on the dewy leaves in butterfly garden. Found initially on lantana and I thought it was a small bug until I realized its wings were folded. I tried to get it to open its wings so I could see more pattern but it would not. It flew to the adjacent false nettle and settled in there for a few pictures. Sunny morning in butterfly garden of cassia, passionvine, false nettle, ruellia, lantana, pentas, asclepias, dill, parsley, cosmos, zinnia, dahlia, rose. 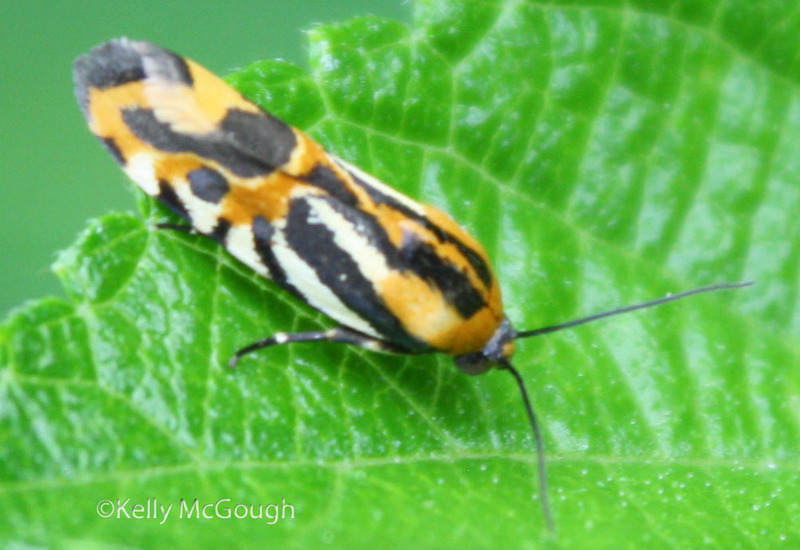 This moth looked to be a half inch long.